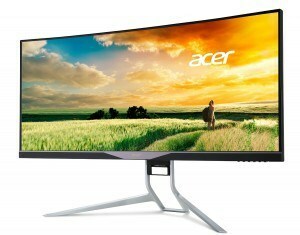 The holy grail of the monitors, the Acer XR341CKA has recently been released by Acer. It is also called the Acer X34, or to be more precise, the Acer Predator X34. The company has done a great job this year in 2015, as they started the year by releasing the Acer Predator XB270HU in January and afterward the Acer XG270HU in March. 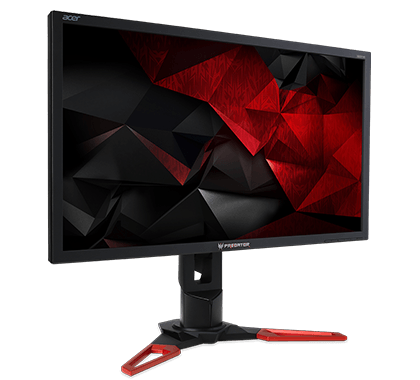 Now the company has released their latest addition to the mix, the Acer XR341CKA, a UltraWide G-SYNC 1440p monitor with IPS panel and refresh rate up to 75Hz. It is also curved, giving the viewer a more immersive gameplay. 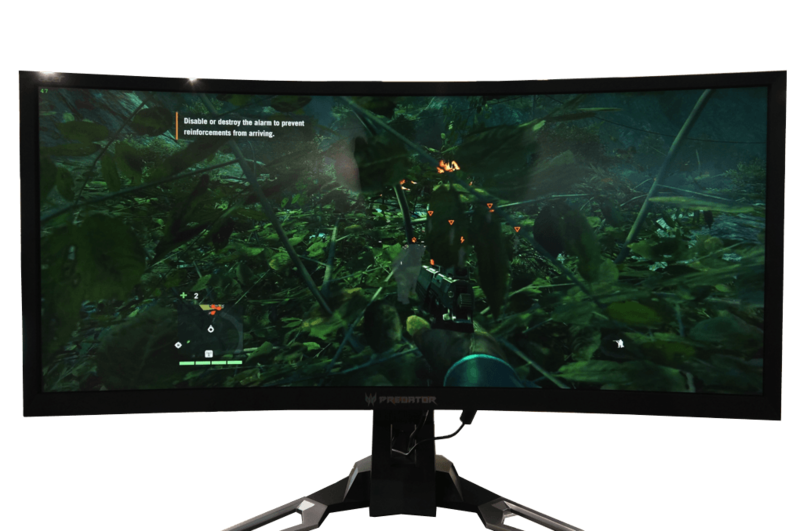 Acer has claimed that this monitor is the world’s first G-SYNC monitor, which along with the other specifications, makes this the best G-SYNC monitor 2015, heck even the best gaming monitor 2015. This monitor shares that title with the Acer XR341CK, the FreeSync variant. What makes this monitor truly unique and amazing is the curved Ultra-Wide panel. That means that it has an aspect ratio of 21:9 and not 16:9, which is called a widescreen. The additional width gives you a greater field of view and an immersive gameplay in practically all games. The curvature also means that you have roughly the same distance to all the pixels on the monitor, and thus giving it some form of virtual reality look. The native resolution of this monitor is 3440 x 1440 running at a refresh rate of 75Hz. It boasts an IPS panel, which stands for In-Plane Switching and is a panel technology that is a must for practically all users. It gives you superior color quality and viewing angles, which is important for many people. The IPS panel this monitor features has a low response time of just 4ms, which is quite fast and the fastest you can get with an IPS monitor in 2015. 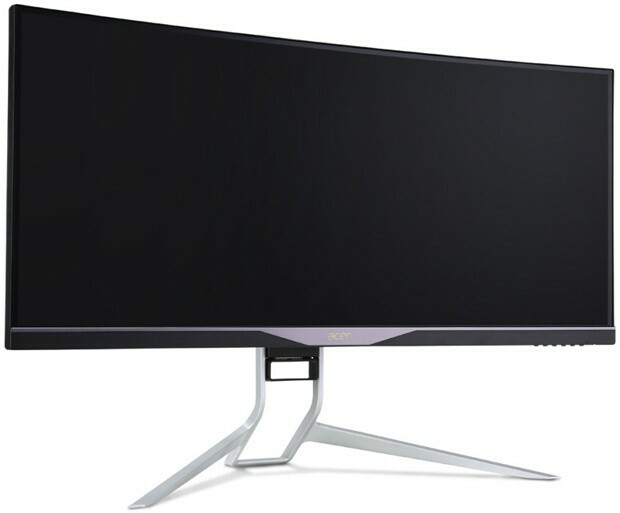 The only thing that this monitor is missing is the 144Hz refresh rate spec, but due to the nature of IPS panels at this size and curvature, it is simply not possible yet. This monitor only supports up to 75Hz, which is greater than the standard 60Hz, but not by much. The FreeSync variant has a FreeSync range of 30-75Hz, but the G-SYNC range of this monitor is 30-100Hz, because it is overclocked. It helps to be a part of the Acer Predator series it seems. The display also features 7W stereo speakers to give you great sound and an adjustable aluminum stand where you can adjust the height and tilt. It does not have swivel adjustment options, so you can not turn the screen sideways, you have to turn the whole stand. Okay so let’s talk about connectivity. This monitor supports HDMI 1.4 and DisplayPort. You will have to use the DisplayPort to take advantage of the NVIDIA G-SYNC technology. Furthermore, the monitor has four USB 3.0 ports. As of July 2015, you can actually go ahead and buy the FreeSync version of this monitor, the Acer XR341CK right now if that is the monitor you are looking for. It will be around $150 cheaper than this monitor, but both monitors are still on the heavy end of the price scale as far as monitors are concerned. But then again, you probably won’t invest in a monitor the next four-five years, so why not get the most out of your hardware? Hopefully, till then, a similar monitor, but with 144Hz refresh rate will have been made. It sure looks like that monitor manufacturers are focusing more and more on these new trends such as 144Hz refresh rates, UltraWide aspect ratios, and curved panels. The price of this monitor is expected to be around $1199 and it will be released in early September 2015. We will keep you updated. i’m sure your info is more valid than any other site now. Since they were still finalizing specs and with the constant delays i wouldnt be surprised if its nov release. Sept is too close and no official price was mentioned by Acer yet.